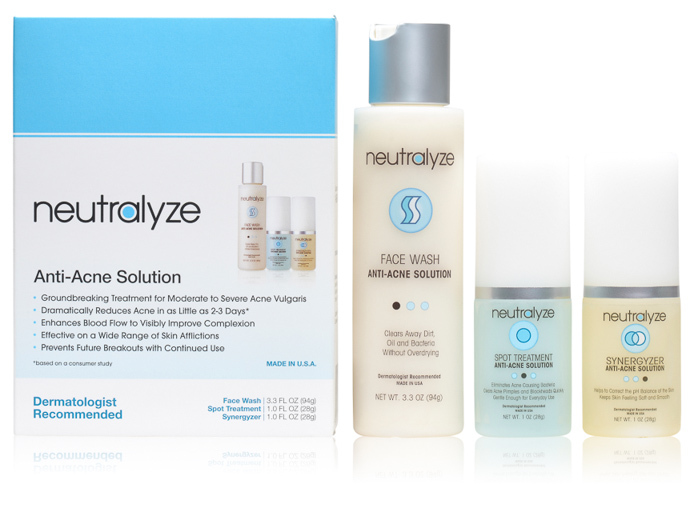 I just got this great anti-acne solution from Neutralyze and I love it. I got it for my daughter who is nineteen and having a really hard time with acne right now. This set is really nice it comes with three different items. You get face wash which is used daily to help neutralize any current acne as well as prevent any future acne. You get spot treatment so you can target any of those really persistent areas that need some extra treatment. Finally you get the synergyzer that is an anti-acne treatment that you can use daily to prevent any acne and treat existing acne. My daughter has been using this set for about a week. She has already seen great results. Her skin is more vibrant. She reports that the solutions feel amazing on her skin and that they make her skin feel softer and more hydrated. Her acne has improved even after just a week. It’s working great for us so far!